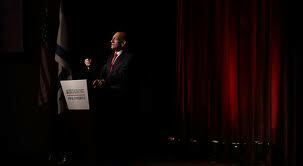 But the idea that Olmert’s criticism means much in Israel is farcical. As the Times noted in a sentence tucked away in the middle of the story, Olmert is under indictment for corruption charges and faces prison if convicted. What they left out is that he left office in 2009 without even attempting to run for re-election not just because of his legal problems but because he was widely perceived as perhaps the most incompetent and unpopular prime minister in the country’s history. At a time when Netanyahu is riding high in the polls at home and considering moving up elections to strengthen his already tight grip on power for another four years, Olmert is a political pariah with no influence, no following and no future in public life. The only place he can get a hearing these days is in the United States where left-wing audiences enjoy his carping about those who do enjoy the confidence of the Israeli public who rejected him. The general lack of interest in this story on the part of the Israeli press confirms this. One of the great strengths of the Israeli state, which sets it apart from all its neighbours in the Middle East, is its vibrant democracy, which is far more likely to hold its politicians to account than outside critics who have no idea about the complexities of the country's internal debate. The recent criticism of Israeli Prime Minister Bibi Netanyahu's government by Yuval Diskin, the country's former head of Shin Bet – Israel's equivalent of MI5 – over Iran's nuclear programme is a case in point. At a public meeting last week Mr Diskin launched a bitter attack against the competence of Mr Netanyahu and Ehud Barak, his defence minister, claiming that they are "not fit to hold the steering wheel of power" because they are deliberately misleading the Israeli public over the seriousness of the threat Iran poses to national security, and are making their decisions "based on messianic feelings." 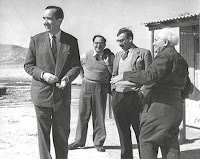 Mr Diskin's comments have inevitably been seized upon by Guardinistas such as Mehdi Hassan and other anti-Israeli, left-wing agitators to show that Israel's concerns over Iran's nuclear programme are completely unfounded. But in pressing their arguments they are deliberately glossing over important political nuances concerning Israel's internal debate on the issue. (+ Video) Oh my! Beinart says it doesn’t matter to him. 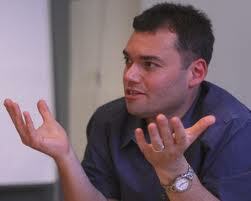 Peter Beinart’s tale of epiphany is dubious enough. He said he was moved to write his book by a clip showing a poor Palestinian being hauled away for stealing water. 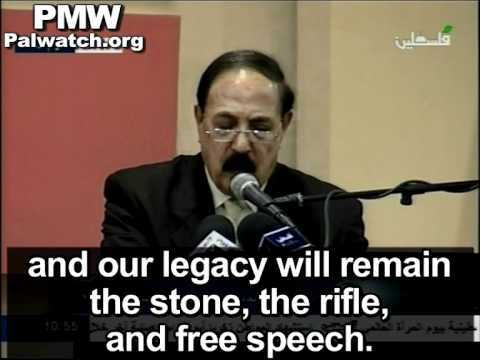 So here’s another Youtube, featuring members of the Palestinian’s family. (Beinart, the armchair expert, never followed up on the story.) They wish Israel to be blown away altogether. Beinart says it doesn’t matter to him. Guess they were just props. 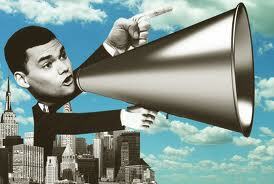 A big TY to Martin Kramer for sharing another aspect of Peter Beinart's shallow grasp of the issues. Medad - Why Did She Write What She Wrote? In her latest op-ed over at The Times of Israel, Sara Hirschorn quotes both Michael Sfard and Shlomo Ben-Ami on the issue of Israel's government decision to seek a legal alternative to the imbroglio it managed to find itself vis a vis the various Jewish communities the courts have adjudged to be destroyed. This being the factually-creative Middle East, there are competing versions of what is going on in the Egyptian-controlled Sinai desert peninsula. "The situation in the southern sector is excellent. There are regular patrols and stakeouts across all roads"
he said. 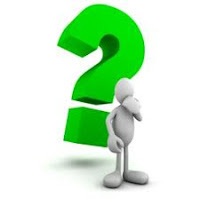 And he should know (we noted), though we wondered how this squares with the numerous attacks on the gas line between Egypt and Israel that managed to get past the ever-alert Egyptian security forces and put the pipeline out of action more than a dozen times in the past year. What a difference three-and-a-half-weeks make. Egypt cancelled its contract to supply gas to Israel six days ago, substantially reducing the pressure on Egyptian security forces who presumably will no longer have to contend with further acts of sabotage on the pipeline. 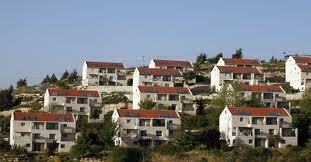 The Ulpana neighborhood was legally acquired and constructed by the Israeli government in the 1990s. It looks like any typical neighborhood in Haifa or Gedera. It has 14 buildings and they house families with hundreds of children. Happy families. In 2008 the Yesh Din organization claimed that a small part of the neighborhood was sold to its residents deceitfully by the cousin of the real owner, who bears the same name. A typical land dispute. Of course, it wasn’t the Arab who petitioned but the organization. The strategy of left-wing organizations has changed – they lost all their support with the people of Israel, and therefore moved their struggle from the field of public opinion, where they are forgotten, to the field of the High Court of Justice, where they have advocates. If such a land dispute had happened in Raanana or Jerusalem the petitioner would be required to prove his claims, and if they were found correct he would win compensation and the story would end. But Judea and Samaria isn’t Raanana or Jerusalem. For 45 years Israel is holding this area without imposing sovereignty on it, as it did in Gilo and Ramot in Jerusalem, the Western Wall and Golan Heights. And this is the essence of the problem. Egypt may think it struck a blow against Israel by canceling a gas deal between the two countries. But all it really did was shoot itself in the foot. It must be serious news to make Israel's ultra-hawkish foreign minister turn conciliatory. Yet Avigdor Lieberman described Egypt's April 22 cancellation of its deal to supply Israel with natural gas as "a trade dispute," minimizing the political repercussions of the end to the most significant economic tie between the two erstwhile adversaries. "To turn a business dispute into a diplomatic dispute would be a mistake," Lieberman counseled. At first sight, the deal's cancellation is a blow to Israel. During normal times, 40 percent of its gas needs were met by Egypt. In the deal's absence, Israel's utility company has raised its rates by a third and has turned to burning expensive, dirty fuel oil. Even so, there are fears of blackouts this summer. The formal cutoff was only the postscript to a long series of interruptions to the gas supply. 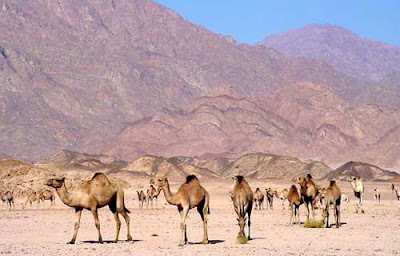 The pipelines in the Sinai Peninsula have been bombed some 14 times since Egypt's revolution as law and order has broken down and Bedouin tribes have revenged their grievances against the government. Gas flowed to Israel for only 140 days last year, and 25 days in the first three months of this year. Other Israeli politicians were not as sanguine as Lieberman. Finance Minister Yuval Steinitz worried that the cancellation was "a dangerous precedent which casts a shadow on the peace agreements and the peaceful atmosphere between Egypt and Israel." 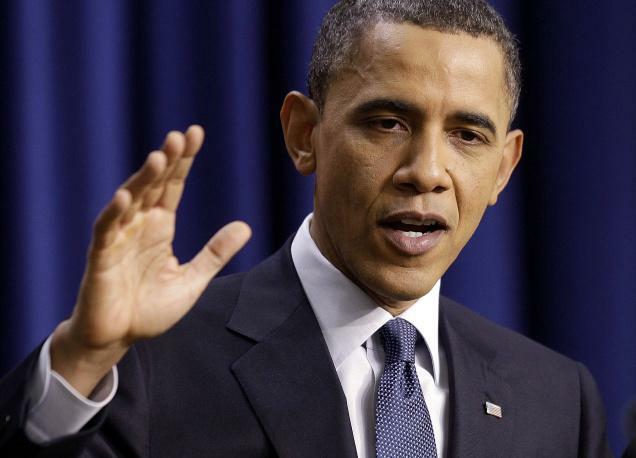 Yet the cancellation is neither a challenge to the Camp David Accords nor a purely commercial matter. The decision is instead a product of Egypt's muddled domestic politics, which means short-term pain for Tel Aviv but a longer-term strategic defeat for Cairo. As for the law, it's at least debatable: The 1979 peace treaty obliges Egypt and Israel to maintain normal economic relations, but the gas deal is dealt with in a 2005 memorandum of understanding referencing the treaty. Such memoranda are generally considered nonbinding in international law. The gas deal with Israel has long been deeply unpopular in Egypt. Quite apart from the unpopularity of trading with a regional pariah, the deal is seen as a giveaway. The price for the gas was initially as low as $1.25 per million British thermal units (MMBtu) and was reportedly increased to $4 in 2008 -- the same as Egyptian industries pay. In the absence of a regional benchmark at the time of the deal in 2005, the price might have been defensible, but it now seems very low compared with the $7 to $10 Egypt earns for exports to Southern Europe. As I was wondering what to write about for this column, my thoughts were interrupted by the tremendous noise outside my kitchen window. Looking out, I saw that the music blaring through an amplifier was accompanied by flashing lights, and a large crowd following a wedding canopy on a platform being pulled by a decorated truck. Police had temporarily stopped traffic on what is a main road in the capital, and at least one officer appeared to be singing along to the song: “Ani ma’amin,” “I believe,” confirming faith in the coming of the Messiah. 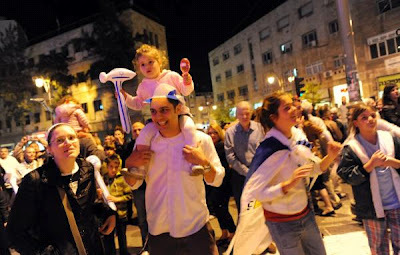 The joyous parade was not part of some extraordinary public matrimonial celebration, however, but a ceremony marking the arrival of a new Torah scroll at a local synagogue. My annoyance at the commotion was replaced by the recognition of one of those “Only in Israel” moments – one that came during one of those “Only in Israel” periods, as it happens. The weeks between Passover and Independence Day have their own flavor in this particular part of the world, from the special events during the Passover vacation; the increasingly popular Mimouna celebrations at the end of the holiday; the somber nature of Holocaust Remembrance Day, with its two-minute siren; and the truly unique but incredibly Israeli combination of consecutive Remembrance Day for Fallen Soldiers and Independence Day. Recently, Holocaust Remembrance Day, or Yom HaShoah, was observed and in many Jewish households yellow yarzheit candles cast their eerie glow. In Israel, sirens sounded throughout the country for two minutes. People stopped their cars, halted on the street and in their homes and stood at attention. Ceremonies and services were held throughout Israel, in the United States, and around the world in memory of the six million Jews who perished at the hands of the Nazis and their collaborators. In the United Kingdom on Yom HaShoah, readers of the Guardian were subjected to a grotesque story penned by Jerusalem correspondent Harriet Sherwood, "Holocaust survivors struggling to make ends meet in Israel." The author describes a growing proportion of Israeli survivors "who cannot make ends meet, who struggle with insufficient funds on a daily basis," and implies that Israel neglects them. Yesterday morning, I visited an old-age home for Holocaust survivors. There, I met Idit Yapo, an amazing woman of 104, clear and lucid. Idit fled Germany shortly after Hitler gained power, in 1934. I met 89-year-old Esther Nadiv, one of Mengele's twins. She was reading a book, Golda Meir's biography, and she told me, with a glint in her eye, she said: "I am so proud, so very proud to be a part of the State of Israel which is in constant development." I met Hanoch Mandelbaum, an 89-year-old survivor of Bergen-Belsen. Shortly after he came to Israel, as a young carpenter, he helped construct the desk upon which Ben Gurion signed the Declaration of Independence. That is MiSho'a liTkuma -- from holocaust to resurrection. And I met Elisheva Lehman, an 88 year-old Holocaust survivor from Holland, who was a music teacher. I asked Elisheva if she would play something for us and she did. She enthusiastically played "Am Yisrael Chai" and we all sang together. It was quite emotional. In the interests of accuracy, an addition to the information I provided last week on the excellent video "Israel Inside": Tal Ben-Shahar did not generate the original idea for this film -- although he did run with it once he was approached. 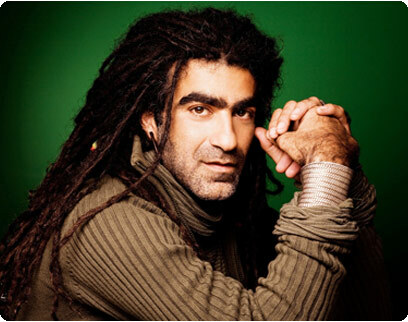 The producer of the film, Rafael Shore, conceptualized it and came to Tal with the idea. On instructions from the government, the attorney general went to the High Court on Friday and requested that the Court release the government from its pledge to demolish housing in Ulpana this very week. Before I proceed further, I want to point out what we are seeing here: Just days ago, I was reading, from multiple sources, that it would be impossible, or near-impossible, to stop the demolition, because the Court had ordered it on the pledge of the government. That was nonsense, as many of us understood. And what we see now is how politicized this process is -- how much it is a question of political will. What the attorney general told the court was that the State wants to re-examine its policy that automatically mandates the removal of all "unauthorized" buildings on "private Palestinian land." Each case should be decided separately, but as things stand now a decision regarding Ulpana impacts other sites. "Other sites" that are most immediately pertinent are Givat Assaf, which the government pledged to dismantle by July 1 and Amona, which is slated to be dismantled by the end of the year. Migron, about which I've written extensively, would likely also be affected. Each time I see reference to "private Palestinian land," I have this great impulse to ask, "Seez who?" This is another issue that is really politicized. We're not talking about land that has documented ownership by a Palestinian Arab, but rather situations in which ownership is unclear, or, worse, in which Jewish ownership has been challenged -- situations in which sometimes land is almost arbitrarily designated as "Palestinian." (There is a convoluted history here that I will, perhaps, revisit.) In the instance of Ulpana, the Beit El community claims ownership and this claim has never been adequately examined in the courts. The government requested a delay of 90 days; the Court has granted 60 days. (Video) For the hopelessly perplexed, Mahmoud Ismail keeps the message simple. 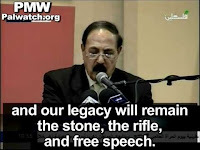 Mahmoud Ismail, member of the PLO Executive Committee: "I hope that this election assembly of media people will inaugurate a wise Palestinian media enterprise, and our legacy will remain the stone, the rifle, and free speech; we will make alternating use of these, whenever and however we wish." The international press is doing its best to hype critical remarks about Israeli Prime Minister Netanyahu uttered by Yuval Diskin, the retired head of the Shin Bet security service into a sign that the government is in trouble. Diskin, a respected figure that retired last year is the latest veteran spook to express his disdain for Netanyahu and Defense Minister Ehud Barak and their stance on the nuclear threat from Iran. That there is a debate in the highest intelligence circles about what the best strategy for dealing with Iran has never been a secret. But what Diskin’s comments and other attacks on Netanyahu from former Mossad chief Meir Dagan reflect is not so much a revolt of the experts against the politicians but a standard trope of Israeli politics in which those who are frustrated about the fact that their ideas have not won the support of the Israeli public seek to overturn the verdict of democracy by appealing to the press and international opinion. It is no more likely to succeed now than in the past. Though foreign news outlets treated Diskin’s remarks, as a huge story that can be spun as part of a negative trend for Netanyahu even the left-wing press in Israel is skeptical about that. Haaretz’s Yossi Verter noted that the personal nature of Diskin’s rant against Netanyahu and Barak at what he termed a “gathering of defense establishment pensioners” undermined their credibility. Unlike the foreign press, most Israelis are aware that Dagan’s animus against Netanyahu and Barak stems from the fact that he was fired from his post. That Diskin was passed over to replace Dagan may also explain his hard feelings. Moreover, the utter lack of public support for alternatives to Netanyahu or his policies makes the claim made in today’s New York Times that there is an “avalanche” of criticism about his stand on Iran farcical. Roth - So many foreign "activists" here. Why? It's no secret that Israel's side of this ongoing war is told in ways that frequently suffer from excessive political spin and agenda-advancement. We have met hundreds of foreign journalists who have been based here for days or months over the last few years, and while many of them seem to be completely innocent of any historical background, it is striking to see how many have an actively hostile standpoint that comes through in the reports they publish. There's something similar that can be said for the hordes of political 'activists' from Europe (and elsewhere, but in our experience it's mainly Europeans) who frequently get on-camera when there's a protest event against this or another aspect of Israeli policy. What brings them here? An unassuming brief memoir penned by Tal Dror, a second-year student at the Hebrew University of Jerusalem who has been financing his way by working in a bar, throws some intriguing light on how and why we see so many European 'activists' and reporters in Israel. The article from which the following is excerpted was published on the Ynet site a few days ago. How can a 20 year old Danish boy wake up one morning and tell his parents he's flying to the Middle East? A foreign reporter from Spain, who loves Israeli red wine, told me once how every foreign correspondent dreams of being stationed in Israel. "This is a foreign correspondent's paradise!" she said. 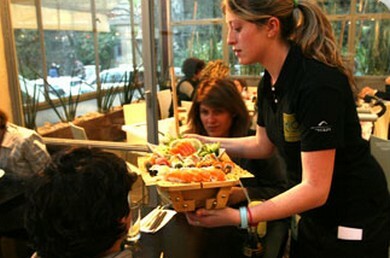 "Where else can you go to restaurant in a city such as Tel Aviv, grab a drink, or go dancing on Dizengoff Street, and sleep at a fancy hotel, when the only thing that separates you from your authentic 'battle field' report is a 45 minute drive into Jerusalem or Bil'in and Naalin? ...I asked them once this one clichéd question that always comes to mind – "So why Israel of all places? Why not Syria? Egypt? Russia or China?" One of them put on a serious face. "Are you insane?" he asked me. "These are all extremely dangerous places!" ..."So wait," I asked in all seriousness. "You wouldn't have come here if you thought you could get badly hurt?" My Swedish friend grinned. "I don't think so," he said. "I may be a radical, but I'm also a spoiled one!" And they both burst out laughing. That's when I realized that for many of those foreign peace activists, this is all just a game. And in this game we, the Israelis and Palestinians, are the pieces. They come from all corners of the world to a faraway country they have never been to before. They confront soldiers and policemen, blocking roads and holding signs. Moreover – as long as they have their cold beer by the end of the evening, as long as they lay their heads in a comfy and friendly hostel – they will continue to arrive. They take advantage of what we're most proud of: Our freedom, democracy and the tolerance that we're so afraid to lose. They take advantage of the strange system we have developed, the one that lets us disconnect ourselves from reality and continue with our lives even when real fighting takes place so close to us. 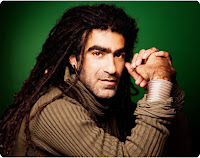 No earth-shattering revelations here it would surprise us to know that Tal Dror's experiences ["The spoiled leftist radical: Op-ed: Provocative foreign activists exploit Israel’s tolerance and comfortable lifestyle"] are widely known or understood. April Fool's Day is not the only day of the year when the NY Times and the Wash. Post serve up misleading coverage of the Israeli-Palestinian conflict. When it comes to developments on that front, any day of the year qualifies for pouncing on and blowing up Israeli flaws, while carefully censoring Palestinian misdeeds. The net result, fabricated but clearly intended: Only Israel stands in the way of peace. April 1-Hamas official urges Palestinian women to blow themselves up "for the sake of Jerusalem." April 2-PA arrests woman for criticizing Abbas on Facebook, cracks down on journalists. April 3-Palestinian revisionism - Moses was a Muslim who led Muslims in exodus from Egypt. April 3-Medieval blood libel of Jews gaining in popularity in Jordan. April 4-Rocket explosions in Eilat - one rocket hits near apartment building. Israel's settlement building in the West Bank drew more international condemnation this week after the government retroactively legalized three Jewish outposts there. The Palestinians described the move as another example of why there is no peace. This description is, at the least, simplistic. The communities had been authorized and approved by prior governments in the 1980s and 1990s but were missing some additional paperwork to formalize their status. The spokesman for the Prime Minister’s office, Mark Regev stated, "You can't tell me that the Israeli government has built new settlements, and you can't tell me that this is legalizing unauthorized outposts. These decisions are procedural or technical. They don't change anything whatever on the ground." 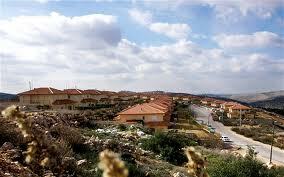 While this story was all over the media, another story about homes in the West Bank was completely ignored. We have more than enough reason to write here about the plain dishonesty that seems to characterize much of the criticism of Israel's security checkpoints strategy. We wrote about this last Saturday night when armed terrorists were stopped at a security crossing en route to carrying out an attack on Israeli civilians - see "21-Apr-12: Stopped two more armed jihadists". 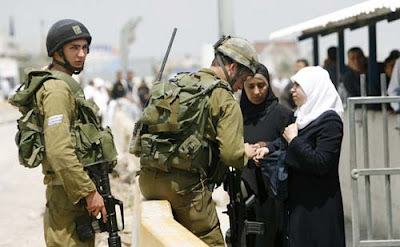 That was only the latest in a terribly long line of occasions when the existence of the part-built barrier, plus the network of manned crossing points through which Palestinian Arabs are frequently required to pass, plus the alertness of service personnel, and especially Israel's Border Guard, all came together to prevent another terrorist outrage. You can learn a lot about a nation's health by watching how it celebrates its national holidays. In Israel's case, compare how we celebrated our 50th Independence Day in 1998 to what celebrations involve today. During the 1990s, Israel's elite took a vacation from reality and history and they brought much of the public with them. Then-foreign minister Shimon Peres said that history was overrated. The so-called "New Historians," who rummaged through David Ben-Gurion's closet looking for skeletons, were the toast of the academic world. Radicals like Yossi Beilin, Shulamit Aloni and Avrum Burg were dictating government policy. The media, the entertainment establishment, and the Education Ministry embraced and massively promoted plays, movies, television shows, songs, dances, art and books that "slayed sacred cows." Everywhere you turned, post-Zionism was in. Post-Judaism was in. And Zionism and Judaism were both decidedly out. As he is today, in 1998 Binyamin Netanyahu was prime minister, and then as now there were prominent voices seeking to blame him for the absence of peace and every other terrible blight on the planet. In 1998, the government invested a fortune in marking Israel's 50th Independence Day. The main official celebration was a massive affair called Jubilee Bells that took place at Teddy Stadium in Jerusalem. More than 2,000 performers participated. But rather than serve as an event that unified Israeli society in celebration of 50 years of sovereign freedom, the event exposed just how far Israel's political and cultural elite were willing to go in attacking basic societal values. Sherman - Excoriating Eisner: Egregious or ethical? Quite some time ago – when I was significantly younger and considerably slimmer – I served in a unit that operated behind enemy lines. I therefore have a keen awareness of how important it is for the motivation of combatants who undertake demanding missions and for their resolve to execute them, that they believe that – if they are in a jam – they will enjoy the unmitigated backing of their superiors. I mention this not because I was ever charged with the kind of tasks Lt.-Col. Shalom Eisner was expected to execute two weeks ago, but because it gives me some idea of the sense of bitter disappointment and disillusionment he must be feeling at the moment. The potential operational impact the episode – and the unfortunate ethos that it reflects – could have on the efficacy of the IDF cannot be ignored. There is something deeply disturbing about the picture that is emerging in the wake of incident that took place in the Jordan Valley on the post-Passover weekend. It goes far beyond the specifics of the particular incident and reflects a deeper malaise that pervades the public discourse in the country. On the one hand, we have a radical anti- Israeli activist belonging to an organization virulently hostile to Israel, unequivocally supportive of terror organizations dedicated to the destruction of the Jewish state, taking part in an unruly confrontation with Israeli security forces, who ends up with (gasp) a cut lip. On the other hand we have a senior IDF officer with a record of proven valor in combat, highly regarded by both his men and his superiors, who has been relieved of his command, his entire career in jeopardy, because of a fleeting video of a few seconds showing him striking the aforementioned radical with a single blow. 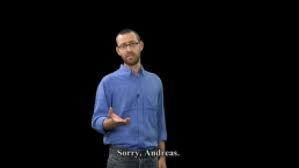 (Video) Israeli apology to Danish International Solidarity Movement's protester Andreas. And in light of the massive demand, here, is the separate clip of last week's Israeli apology to Danish International Solidarity Movement's protester Andreas. For many years, the Sunni-Shiite war also fed the internal conflict in Lebanon, in which the Shiites emerged victorious through Hezbollah. The Sunni-Shiite struggle was also behind the Shiite insurrection in Bahrain against its Sunni rulers, and it explains a good part of the civil war in Yemen where Zayidi Shiites have been battling the country's Sunni-led government. Looking at the mounting tensions in the Middle East, Mohammad Kharroub, a columnist for the Jordanian daily al-Ra'I, wrote this month about the possibility of a full-scale war breaking out between the Sunnis and the Shiites. Right now, Israeli interests appear to be aligned with the Sunnis in this struggle, largely because Iran supports the Shiites' quest for power. But moving beyond the present, is it true that Israel's interests are permanently aligned with the Sunni world against the Shiites? Vali Nasr, a former U.S. official who was born in Tehran, reminds his readers of the stereotypes held in the U.S. defense establishment on the Sunni-Shiite split: He quotes a Pentagon official in the 1980s who said that the Shiites were "bloodthirsty, baby-eating monsters." Israelis are celebrating their Independence Day today (Thursday), and it’s not likely that too many of them are spending their holiday worrying about American Jewish efforts to save them from themselves. 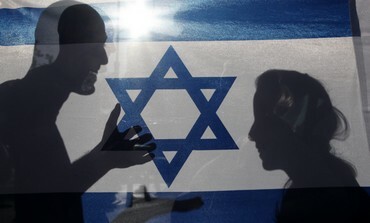 The imbalance in the relationship between the two sides of the Israel-Diaspora relationship lends a touch of comedy, if not pathos, to the celebrated anguish of liberal American Jews who will spend this day, if not every day, publicizing their angst about Israeli policies and dramatically predicting doom for the Jewish state if it does not listen to their criticisms. We have been hearing a lot lately about the imperative for “liberal Zionists” to speak out. Israel is a democratic country with a bewildering array of political parties and ideologies (almost all of which have some representation in its parliament), and if American Jews wish to identify with a particular brand of Israeli politics, there’s nothing wrong with that. 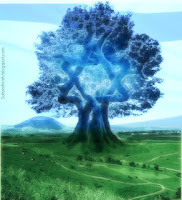 I may disagree with some of the political views expressed on the Zionist left, but I consider the debate with those who are devoted to Israel but who wish to improve it in various ways, arguments undertaken, as Jewish tradition calls it, “for the sake of heaven,” which ought to be conducted with civility and respect on both sides and mutual commitment to Jewish peoplehood. 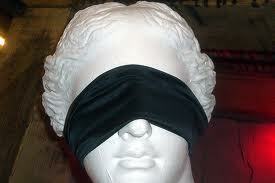 Israel does not need blind devotion from its foreign friends or from Diaspora Jews. Nor does it require anyone to pretend that the Israeli state is perfect. Its democratic system, its politicians and even its military are no more perfect than those in the United States. But it does deserve a degree of respect that I think is lacking lately from some who call themselves liberal Zionists. Much ink has been spilled and great deal of space on the Internet has been wasted debating the dubious merits of Peter Beinart’s The Crisis of Zionism, but as off target as his views about American Jewry may be in many respects, his ignorance of Israel has made it a symbol of all that is wrong with the liberal Jewish critique of the country. It’s all well and good for Beinart and other American Jews to wish for peace or to argue that different policies might bring it closer. It’s that they operate in an intellectual vacuum in which the real world dilemmas of Israeli life and the realities of Palestinian nationalism don’t exist. When the vain and delusional emperor walked naked through the streets of his capital to show off his new clothes, so light and so finely woven that they could not be seen or felt, it was only an innocent little child, ingénue, who told the world that the emperor was naked. The rest went along with the charade, and collaborated with the emperor and his dishonest clothiers in order to avoid imperial ire. 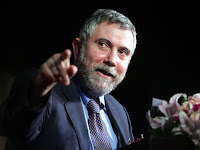 Recent events and disclosures at the highest levels of our government demonstrate that our own rulers, like the naked emperor, have through folly and dishonesty exposed themselves as “useful idiots” or worse, liars and functionaries whose loyalties may well be to other than the United States. Carson told us an unconscionable and transparent lie. In addition to stating an obvious falsehood, given the Boko Haram’s overt and unabashed self-definition as a brutally violent Muslim terrorist organization which condemns all things non-Muslim as “Haram” (prohibited), Carson also contradicted earlier State Department assessments, [i] all of which argue that Nigeria’s Islamic religious terrorist violence was so much a concern that the US Commission on International Religious Freedom (USCIRF) recommended back in 2002 that Nigeria be placed on the United States watch list. Wanna learn the history of Israel in a nutshell? Here it is - in a single headline. Read here the new state because even then, everyone recognized there had once been another. As for the reference to Zionists - it was written in a time when the world did not judge Zionism to be evil, when they recognized it was, quite simply, the fulfillment of our dream, our hope. So, to those who have written to me to say that the US was opposed to the creation of Israel and only gave into "Zionist" pressure - I would say this proves you wrong. There was no time for such a lobby, such pressure. 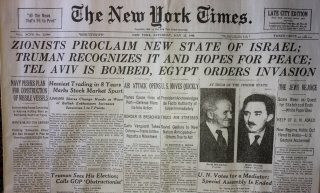 US recognition came eleven minutes after the State was declared and the US has been one of Israel's staunchest allies ever since. IMRA - PM Netanyahu continues the fan dance? NETANYAHU: Well demilitarized is a real state. It just means that they can't field the armies. They can't fire rockets. We want to make sure that if we have a peace arrangement, we walk away from certain areas that they won't be used a third time by Iran and its Palestinian proxies to fire rockets on Tel Aviv and Jerusalem, but we don't want to run their lives. I don't want to govern the Palestinians. I don't want them as subjects of Israel or as citizens of Israel. I want them to have their own independent state but a demilitarized state. Until this interview we still had the then PM Sharon concept that “contiguity” could be achieved in a “have your cake and eat it too” arrangement via a series of unobstructed bridges and tunnels that would enable Palestinians to move between various locations without the presence of Israeli communities in the same general area interfering with that movement. Reading the New York Times account of an interview with Benny Gantz, the chief of staff of the Israeli Defense Force, that was first published in Haaretz is like a children’s game of “telephone.” What Gantz actually said wasn’t reflected in the misleading headline of the Israeli newspaper. That headline, rather than the actual content of the piece, was repeated in the Times article, so what comes out in America’s so-called newspaper of record had more to do with the editorial agenda of the press than the reality of Israel’s security dilemma. So while the tone of Gantz’s interview was not as sharp as the statements made by Israeli Prime Minister Benjamin Netanyahu or Defense Minister Ehud Barak, the substance isn’t very different. Which makes the claims made by the Times and the misleading headline in Haaretz a transparent attempt to portray a stark division within the councils of Israel’s leaders where there may be none. Following on the heels of the Global March to Jerusalem*, planned by the Arab League but seized upon by Israel-haters everywhere, we have a new DE-JUDAIZATION effort. This one is brought to us by that iconic Jewish newspaper, now considered by some as an aider and abettor of the Israel-and- Jewish delegitimization crowd, the Jewish Daily Forward. Today, on Yom Haatzmaut, the Forward's editorial suggests now is the time to consider ways to alter the Israeli Anthem, HaTikva, to make it more relevant, less objectionable, to all of Israel's inhabitants. In other words, to REMOVE THE JEWISH connection to Israel. But HaTikva is a historical poem. It is the story of a yearning, yes, a yearning of the Jews, to recreate our Homeland, to return to Zion, to the place where our people was born. It is through the realization of that hope that modern Israel was reborn. Israel was not created in the abstract, and its anthem, like most, reflects its history, its struggle and its unique tradition. Look at the anthems of virtually any country and there are references to specific gods, kings, and/or specific religions. Jordan's does, so do those of Iran, Switzerland, Germany, and the UK, to name just a few. Indeed, frequently entire anthems are infused with nationalistic, militaristic (China's) or religious imagery. Yet few states are entirely homogeneous, and most have recent immigrants for whom the specific historic story told in the anthem could be considered either irrelevant, or worse. We think it is an outrage to suggest HaTikva needs to be de-Judaized, and to pretend that modern Israel was not founded in response to the ancient yearning - and yes, need - of the JEWS for a Jewish Homeland. For goodness sake, they sang it at the liberation of Bergen-Belsen! The Forward is inviting people to comment (and to make suggested changes). So let them know what you think, here. Roth - What better way to mark Israel's independence? The terrorists from Hamas-occupied Gaza sent their wishes to the people of Israel this morning. This was no surprise gift, since they have been delivering them on a daily basis for years even while most people in most places look the other way. We refer, of course, to yet another explosive-laden rocket, fired entirely indiscriminately in the general direction of where the Jews live. 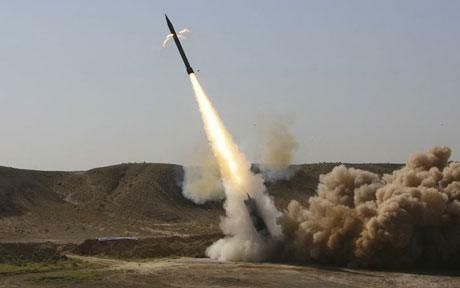 The report of this morning's attack says the missile landed somewhere (details are deliberately sketchy, always - if you have to ask why, you should not know) in the Hof Ashkelon region of southern Israel in the early hours of this morning, Thursday. As far as we know, there were no injuries to people, no damage to property. 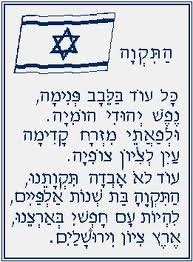 Even so, their gift was important: a reminder to us as we celebrate with our families and our communities on this beautiful spring day, Israel's 64th birthday as a modern nation-state: they really hate us over there (you can point in any direction from here in Jerusalem and you will be right). And they are ready, willing, able, anxious and thoroughly equipped to show that hatred in tangible, lethal ways. That there is not greater loss is entirely due to the mercy of the Above, and the diligence and determination of the servicemen and servicewomen who guard our borders and homes. Happy birthday, Israel, and may our country continue to go from strength to strength to strength to strength. Now, excuse us as we head off for our family's Independence Day picnic. Feeling good about Israel is great. But I would like to suggest that it's just a first step. Once you understand what we're about, and what there is in Israel to be celebrated, you can then help others to understand --- especially is this the case if you are outside of Israel. In light of all the attempts today to delegitimize Israel, this is not a small thing. 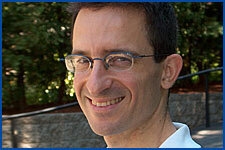 Dr. Tal Ben-Shahar is an Israel who left for the States years ago, and ended up teaching at Harvard. When he returned to Israel recently -- he's now teaching at the Inter-Disciplinary Center in Herzliya -- he was astounded at the changes in his native land. This ultimately prompted him to created a film, "Inside Israel: How a Small Nation Makes a Big Difference." "[It] shows Israel to be a dynamic, inventive and humanitarian society. Tal helps us discover that the deep-seated Jewish values such as freedom, education, family and responsibility (tikun olam), mixed in with a good dash of chutzpah, contribute to Israel’s accomplishments in both the economic and humanitarian spheres. We learn that these core values define Israel and have fueled this tiny, resource-challenged country’s drive to become an invaluable asset to the world." 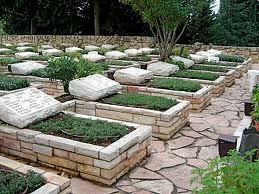 Every spring, within a single week, Israel commemorates Yom Hashoah, Yom Hazikaron, and Yom Ha'atzma'ut. 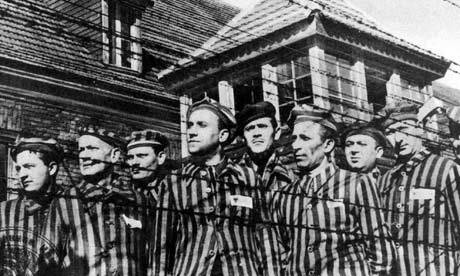 These days revisit the core drama of the modern Jewish experience: the Holocaust, the losses suffered by Israel in its early wars, and the country's present independence. These days are also among the most controversial in the Israeli calendar. 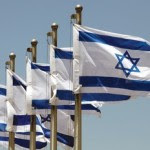 With adjustments for Shabbat, Independence Day is celebrated on the fifth of Iyyar, the Hebrew correspondent of Israel's May 14 declaration of independence. Certain ultra-religious Jews have long protested the occasion. The Neturei Karta have declared it a "day of mourning for Torah-faithful Jews" and burn Israeli flags in protest. The next day, May 15, is commemorated by Palestinians as "Nakba Day," the day of "catastrophe." It is entirely negative: It mourns Palestinian dispossession at the hands of the Jews rather than celebrating any idea of Palestinian nationalism. Nakba Day speaks volumes about Palestinian political psychology. There are also protests against Independence Day from within Israel, from Israeli Arabs—that is, Palestinians with Israeli citizenship—and leftist Israelis who want Israel to be a "state for all its citizens." This critique parallels the criticism of Israel's national anthem, "Hatikvah": The state, say the critics, celebrates the experience of the majority and further alienates the minority. Independence Day is especially vexing to non-Israeli leftist commentators, who see in it a means of repression. One journalist recently said, "If I was [sic] a Palestinian citizen of the state, I don't think I would want to participate in the torch-lighting. I would also find the inclusion of Arabs to be dishonest, a way of whitewashing the reality of life here as a minority. . . . Independence and freedom here mean independence and freedom for Jews." Earlier this week, the Israeli government formally legalized three small Jewish communities in the West Bank -- Rehalim, Bruchin and Sansana. They had been authorized and approved by prior governments in the 1980s and 1990s. Rehalim received official authorized settlement status on May 19, 1983, Bruchin on Nov. 27, 1991, and Sansana on June 28, 1998. What had been lacking was additional paperwork to formalize their legal status -- essentially an oversight that now has been corrected. But since the Washington Post and the New York Times are predisposed to see evil in anything pertaining to Jewish settlements, it comes as no surprise that they jumped on this thin bureaucratic reed to flog Jewish presence in the Jews' biblical homeland. Ignoring facts and history, the Post carries a three-column article by Jerusalem correspondent Karin Brulliard in its April 25 edition, headlined "Israel legalizes 3 West Bank outposts -- Palestinian activists decry move as step toward new settlements." 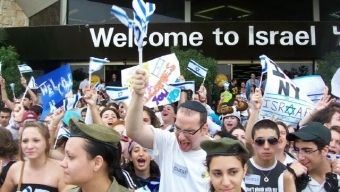 Israel's Jewish population is approaching six million. If current birth rates hold steady that significant milestone will be reached in time for next year's Independence Day. If there is to be one. 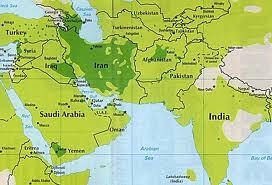 Globally the Jewish population is divided between Israel and the United States. Israel is the home of the majority of the world's Jews, but the combined Jewish Anglosphere is still larger, not so much because of the United Kingdom, but because of North America, which holds the largest number of Jews. In a development that would have been all but incomprehensible a century ago, the majority of Jews in the world speak English or Hebrew. 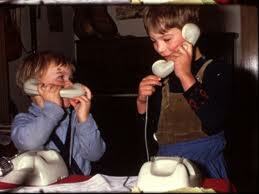 Smaller numbers speak French and Spanish, but in a generation hardly any will speak Russian or Arabic. CAMERA - The Guardian: "Jerusalem is not the Capital of Israel, Tel Aviv is"
CAMERA and many others routinely expose the subterfuge at the heart of the Guardian's coverage of Israel. This deceit was clearly demonstrated in a correction issued for a photo caption appearing on April 20 which inadvertently revealed that Jerusalem was the capital of Israel. The caption on a photograph featuring passengers on a tram in Jerusalem observing a two-minute silence for Yom HaShoah, a day of remembrance for the 6 million Jews who died in the Holocaust, wrongly referred to the city as the Israeli capital. The Guardian style guide states: "Jerusalem is not the capital of Israel; Tel Aviv is" (Eyewitness, 20 April, page 24). 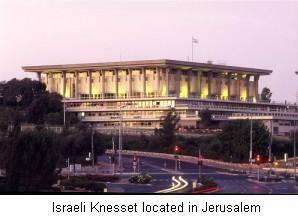 Israel's Knesset and government resides in Jerusalem. That is a material fact. The Guardian could have remained consistent with its hostile stance towards Israel by stating that the paper does not recognize Jerusalem as the capital of Israel. But to deny reality by stating that Tel Aviv is the capital, when it demonstrably is not, provides an example of a news source allowing dogma to overrule physical reality. It is even more ironic that the photo caption dealt with the Holocaust, an incontrovertible reality subject to denial by individuals inimically hostile to Jewish interests. .... Before my reserve duty, I picked up a small 2 volume set of books by Rav Yosef Tzvi Rimon, that discusses Jewish observance issues in the IDF. Over Shabbat I had the opportunity to read part of it, and I found this story particularly meaningful. Medad - Blue and white or black and blue? Kushner - From Israel: Crossing a Red Line? Gold - What nuclear fatwa? CAMERA - Why Did Ha'aretz Bury Fogels' Funeral? Honig - What’s that about daughters? Defend our country, our people and our soldiers! A Remembrance from "Flags Over the Warsaw Ghetto"
Tobin - Who’s Mistreating the Palestinians Again?